When you start with something new, fear kicks in. This is because the path of success is vague and uncertain but there are ways to avoid the failure. One should always seek help from a person experienced in the same field. Learning from others mistakes always helps u and gives u a better vision of your dream and makes it easier to achieve. 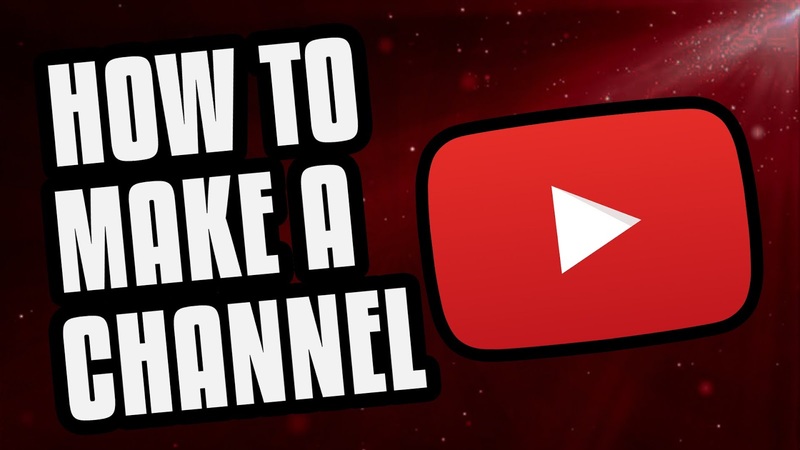 If you are a beginner at YouTube you surely need to know some strategies to make your YouTube channel a success. You need to have a vision inside you to make your dream turn into reality. This thing is not only confined to YouTube but is applicable to everything one wants to achieve. Dreaming will make you want it more. The more you want it the more effort will u put in. Whatever you want to deliver through your videos should be very clear and the same should be your focus. You should be very clear and specific regarding the content and it should not have multiple topics. For example; either it should be about food or fashion etc. it shouldn’t be a channel that has videos of all categories. It will confuse the viewers whether they should consider watching your video or not, whether they should subscribe or not. Focusing on certain content will help you gain subscribers and make income real fast. The content that you will show to your viewers should have some value and real purpose. “Why would someone watch my video?” should be a matter of concern. Work on your video and make it something you would enjoy to watch. Your video is not bound to be perfect at the start but it shouldn’t lack purpose. It’s the purpose in your content that attracts viewers. Don’t leave upon tomorrow what can be done today. Just start with it and post your first video. The earlier you start the earlier you reach one step closer to perfection. Nobody is perfect in the first attempt. Your first video will have a lot of mistakes but that will only help you learn. Don’t worry about reaching perfection in the first video. This is just the start and everything starts from zero. You also have to start from scratch. Be okay with the haters and be prepared for them they will always be there to make you feel low. But their comments should not hamper your passion. Those who are below you will try to pull down but you don’t have to be vulnerable. They don’t matter. Only your dear one's matter and they will always support you. One thing that guarantees your success in any area of life is sticking long and hard to your purpose in life. If you have grit then there is no way you fail. Because grit itself has a meaning of trying until you reach your goal, without being disappointed by failures. Being consistent in your work is very necessary. You will not be successful at YouTube if you post your first video and wait for 100 subscribers to post the next one. Be consistent and post at least 3-4 videos a month. It is a stable rate of posting and a goal not impossible to reach. Analyze your progress after posting a couple of videos. You will clearly see that some videos will help you gain subscribers while some will not be as successful as others. You have to focus on what helps you build your channel. Obviously, you have to do more of what benefits the progress of your channel. Imagine yourself in place of the person searching in the YouTube search box. Your goal is to appear in the search results. Make an effort to build up your channel. Get ideas from daily life for your channel. Apply your experience to the content of your videos apply all the things you have learned from YouTube. Have sufficient knowledge of your content and keep on increasing the knowledge and keep on delivering the knowledge to your viewers. Get new ideas from other videos but don’t copy someone else’s content. Introduce your own ways and be different from others. It will be hard but at the end, it will be worth it!